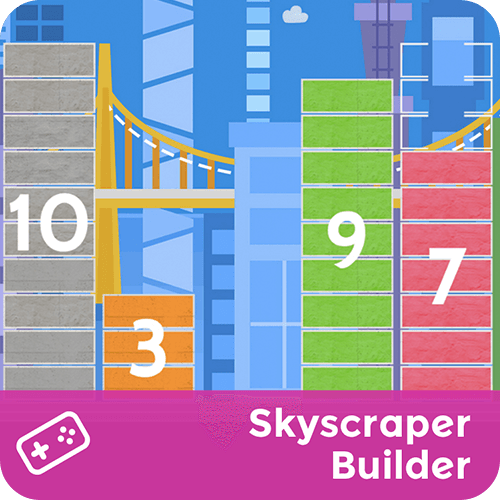 Build a skyscraper as high as possible using bricks of different sizes. (The walls have to be equal on both sides, of course!) Follow the balloon as you build up and up into outer space!